Contains no yeast, wheat, corn, soy, gluten, salt, sugar, dairy, animal products, binders, fillers or artificial ingredients. 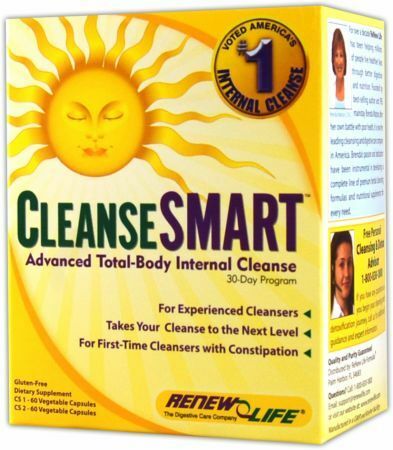 For the first 3 days, take 1 capsule of CleanseSMART 1 in the morning and 1 capsule of CleanseSMART in the evening. After 3 days, increase to 2 capsules each. CleanseSMART is best if taken on an empty stomach. DO NOT USE IF YOU HAVE OR DEVELOP ABDOMINAL PAIN, DIARRHEA OR LOOSE STOOLS. Notice: This product contains cape aloe and rhubarb. Morning Formula- For the first 3 days, take one capsule in the morning. After 3 days, take two capsules in the morning. Evening Formula- For the first 3 days, take one capsule in the evening. After 3 days, take two capsules in the evening. NOTICE OF USAGE: This program is not to be used more than four (4) times per year. The Morning Formula is a 15-herb organ detoxification formula and provides 7 herbs to help detoxify the liver. * The Evening Formula contains 8 natural ingredients that help cleanse the colon. * CleanseSMART is easy to take, just 2 capsules in the morning and 2 capsules in the evening.